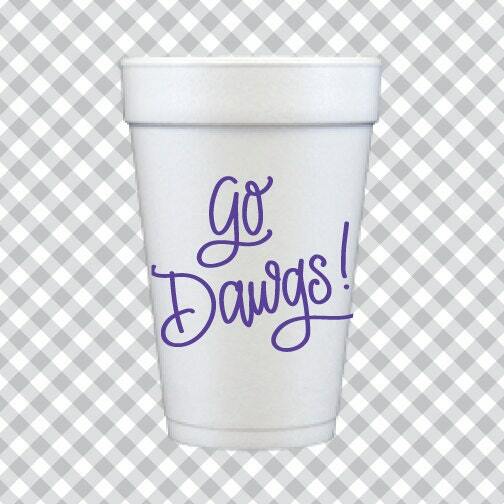 Styrofoam Cup perfect for tailgating, cheering, entertaining! Hand-lettered "Go Dawgs!" printed in purple on the cup.